The power of positivity could not be underestimated, especially in sales when most results could either be black or white. Injecting positivity in language could help set the mindset of a customer and encourages him/her to listen more to the seller. However, using positive words or phrases alone may not be enough to attract your clients. It needs to be reinforced with the right tone and said at the right time in a conversation. This course will teach the participants the correct usage of positive language. It will provide examples of its applications so that their meanings could be understood fully. 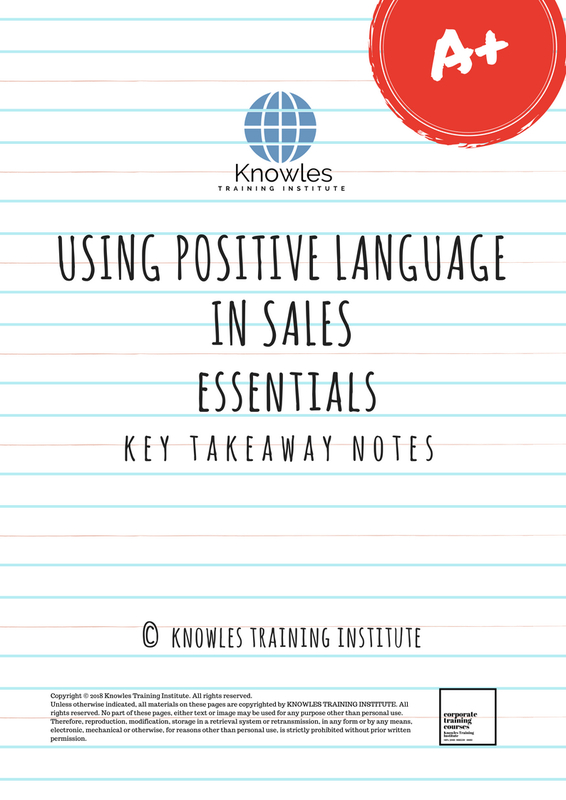 This Using Positive Language In Sales workshop is ideal for anyone who would like to gain a strong grasp and improve their Using Positive Language In Sales. 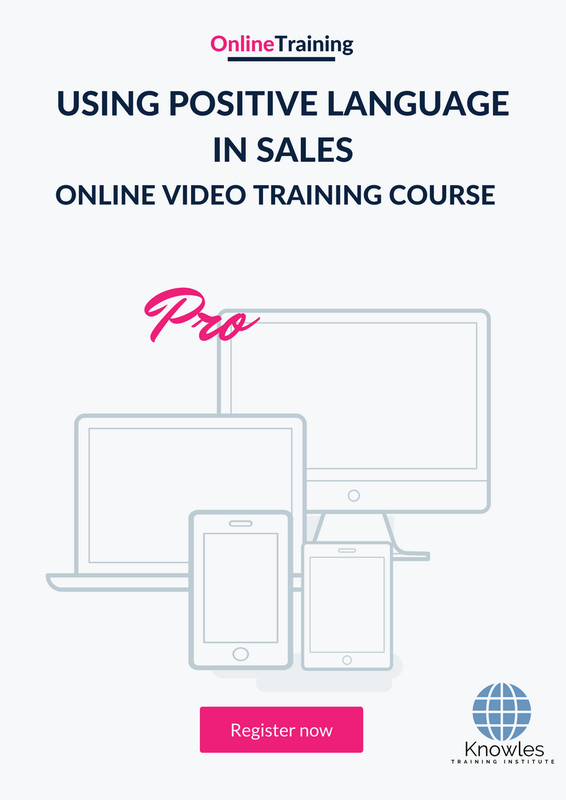 The duration of this Using Positive Language In Sales workshop is 1 full day. Knowles Training Institute will also be able to contextualised this workshop according to different durations; 2 full days, 1 day, half day, 90 minutes and 60 minutes. 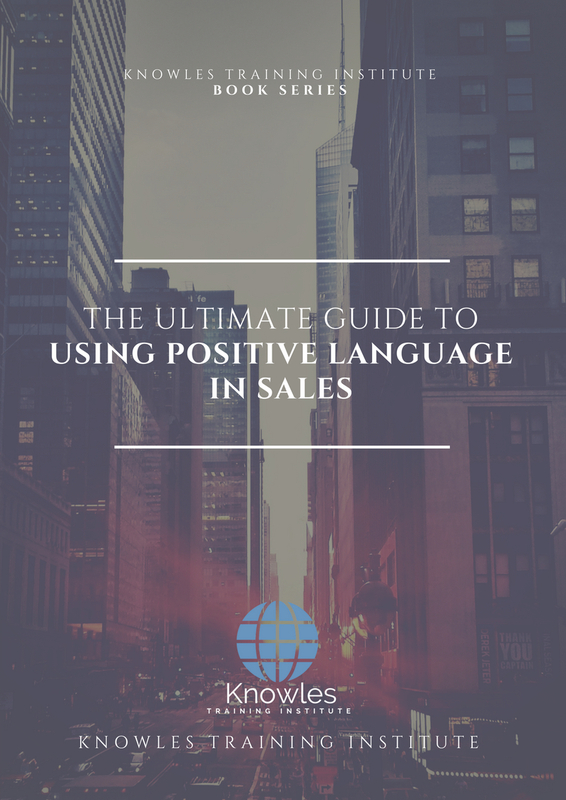 • Why is there a need to use positive language in sales? • What are examples of words, phrases, or sentences that imply positivity? • When should you apply positive language? • Can a positive tone or language be misused? What could the consequences be? • Why should you avoid using negative language? • What should you not say that could be construed as negative language? • Situational examples of sales transactions or conversations using positive language. • Activity: Perform a role-play conversation between a seller and a customer. Use positive language that will urge your customer into buying. 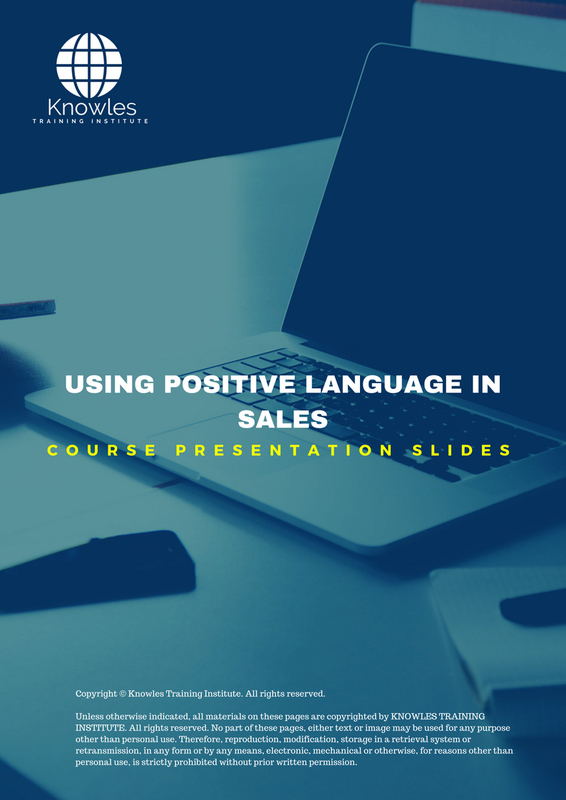 There are 3 pricing options available for this Using Positive Language In Sales training course. Course participants not in Singapore may choose to sign up for our online Using Positive Language In Sales training course. 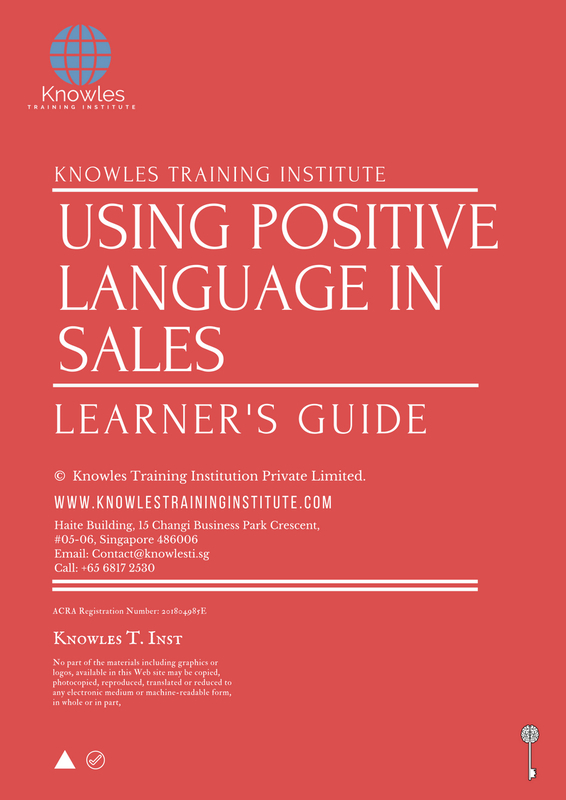 Request for this Using Positive Language In Sales course brochure. Fill up the short information below and we will send it to you right away! Register For This Using Positive Language In Sales Course Now! 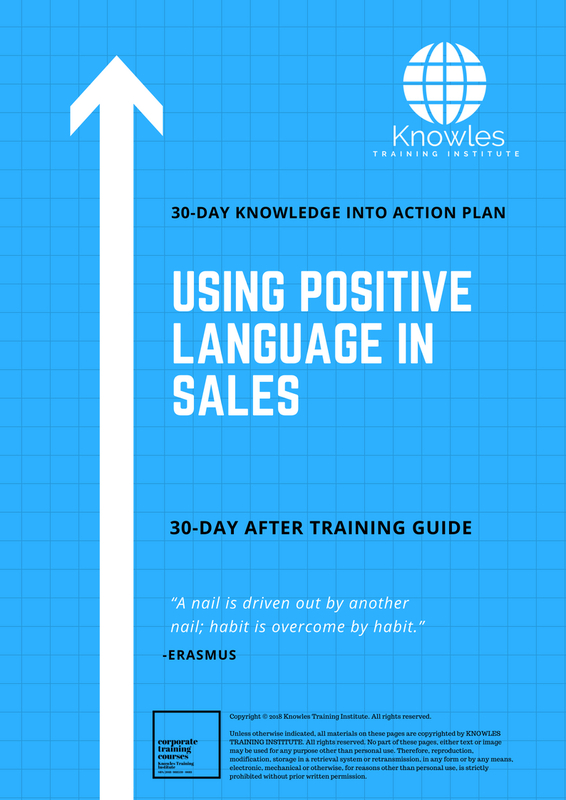 Share This Using Positive Language In Sales Training Course! 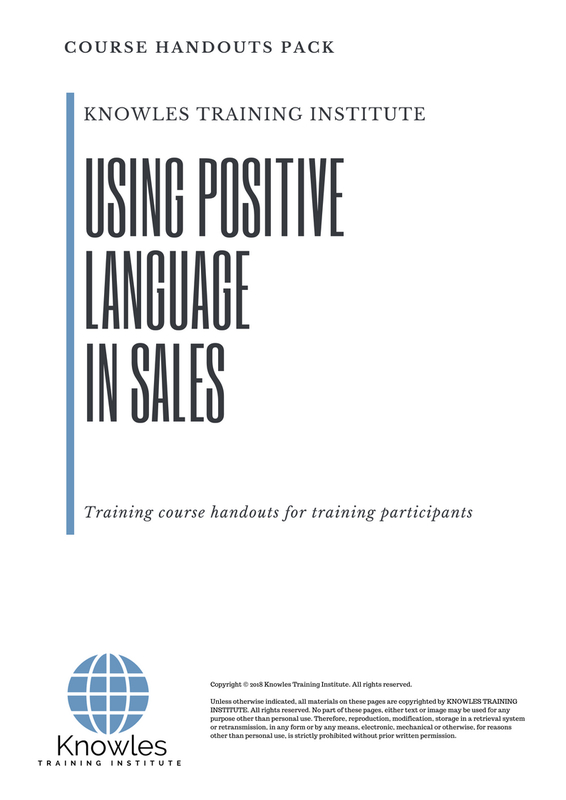 Using Positive Language In Sales course, workshop, training, class, seminar, talk, program, programme, activity, lecture. Using Positive Language In Sales courses, workshops, classes, seminars, talks, programs, programmes, activities, lectures in Singapore. Using Positive Language In Sales improvement tips, Using Positive Language In Sales techniques, improve Using Positive Language In Sales, improve Using Positive Language In Sales games, Using Positive Language In Sales improvement exercises, improve Using Positive Language In Sales power, how to have good Using Positive Language In Sales, how to have good Using Positive Language In Sales in studying, how to build up your Using Positive Language In Sales, how to improve Using Positive Language In Sales how to improve Using Positive Language In Sales course in Singapore. Enhance, boost, build up, enlarge, heighten Using Positive Language In Sales course in Singapore. Increase, intensify, raise, reinforce, strengthen Using Positive Language In Sales. Upgrade, amplify, boom, elevate, exaggerate, magnify, grow, gain Using Positive Language In Sales. 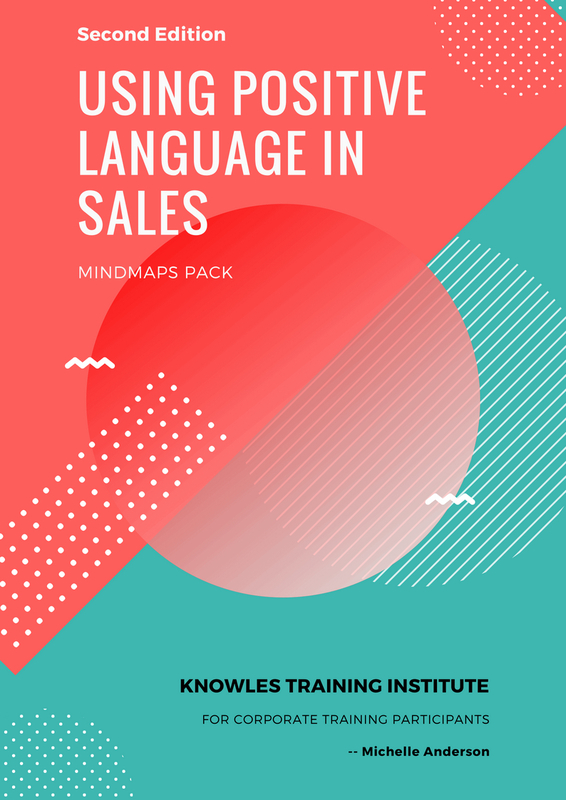 Develop Using Positive Language In Sales, multiple, power up, beef up, bolster, establish, extend Using Positive Language In Sales. Invigorate, restore, step up, toughen, empower, fortify, regenerate Using Positive Language In Sales. Rejuvenate, renew, escalate, expand, maximize Using Positive Language In Sales. Powerful, mighty, impressive, competent, great, excellent, exceptional Using Positive Language In Sales in Singapore. Superb Using Positive Language In Sales. Super, superior, strong, solid, active Using Positive Language In Sales training courses and workshops in Singapore. Using Positive Language In Sales enhancement, booster, building up, enlargement, heightening, increment, strengthening, amplification. Using Positive Language In Sales magnification, growth, development, power, empowerment, regeneration. 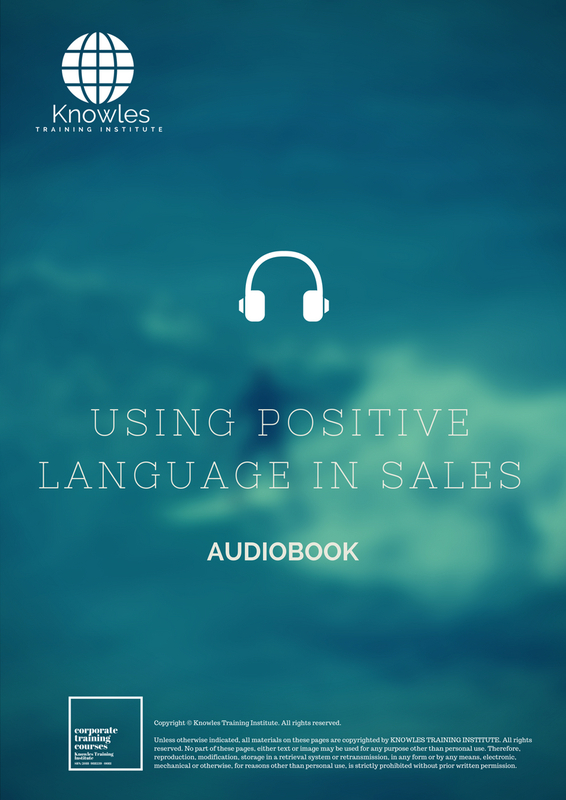 Using Positive Language In Sales rejuvenation, development, escalation, expansion. 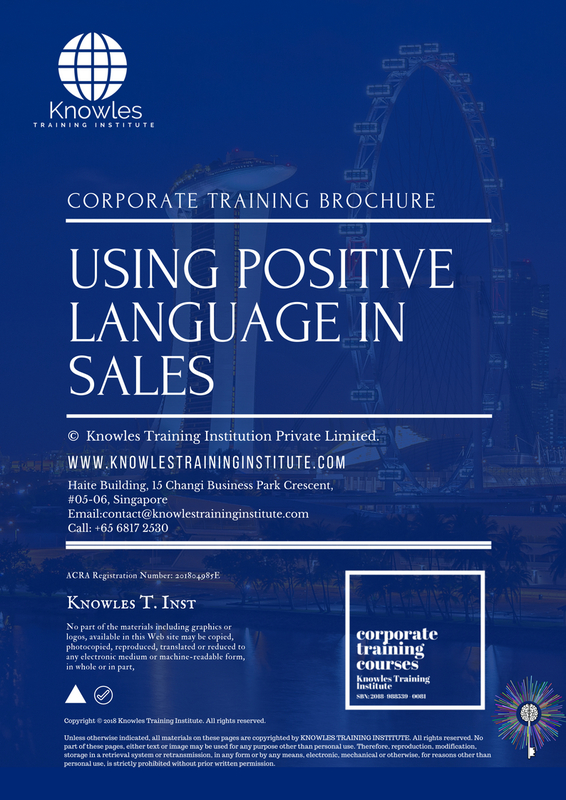 Using Positive Language In Sales maximization, power training courses & workshops in Singapore.